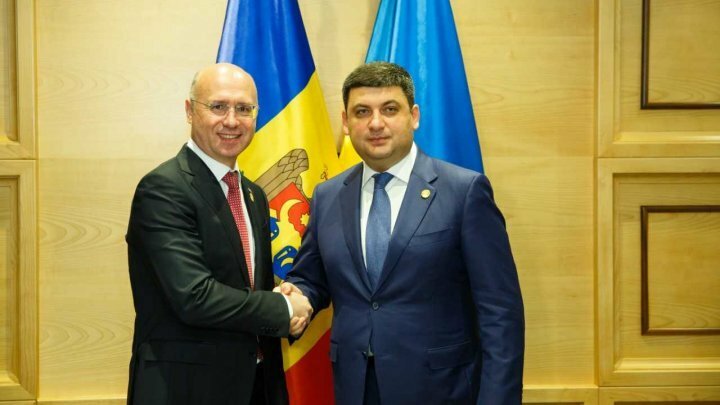 Following effort of Moldovan government, the Ukrainian side decided to discontinue cascade hydroelectric station construction on the Nistru river, until impact assessment is carried out upon strategy on environment in cross-border context. "At the meetings with Ukrainian officials, including PM Volodimir Groisman, we talked about this river as a common and supreme interest in preserving its ecosystem", said PM Pavel Filip. After negotiations in 2017 summers, Ukraine ratified the 2012 Rome Agreement on cooperation in protecting Nistru river. This agreement stipulated to create the Joint Commission on the river's sustainable development. In December 2017, PM Volodimir Groisman and PM Pavel Filip signed a joint address by the European Commission to obtain expert assistance for conducting a comprehensive study on environmental impact across the Dniester River basin. Both countries carry out the Global Environment Fund project "Facilitating Cross-Border Cooperation and Integrated Water Resources Management in the Dniester River Basin". It's done through an analysis of Nistru basin, emphasizing cross-border problems and risks. Embassy of Sweden to Moldova also conducts a Study on the social and environmental impacts on the territory of the Republic of Moldova following the operation of the Nistrean hydropower complex. "All these actions come to protect the river Dniester, so it remains a common wealth. Nothing is more important than keeping the river for future generations," said Pavel Filip.